Nothing says autumn in New England quite like apple picking, and nothing says apple picking quite like warm apple cider donuts. It might come as no surprise that, after a blog about coffee, my next post would be about donuts. 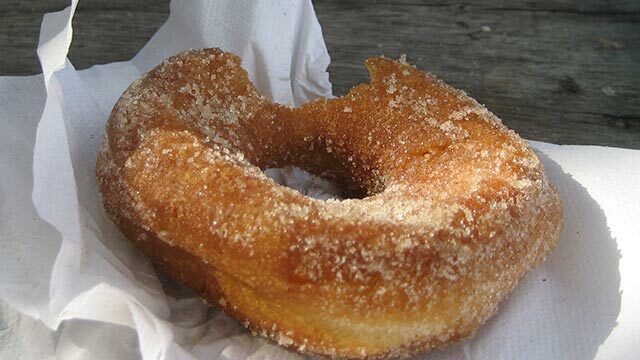 If I’m being a stickler, the only way to truly eat an apple cider donut is fresh out of the fryer at an apple orchard on a crisp fall day. But, I understand that not everyone has the luxury of having time to drive out to an orchard for that experience! Luckily, there are great options right in Boston, but, if you have the chance, it’s worth the scenic drive. 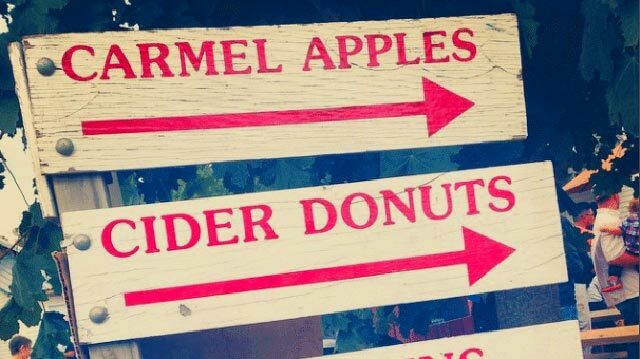 This is my personal favorite spot for apple cider donuts. 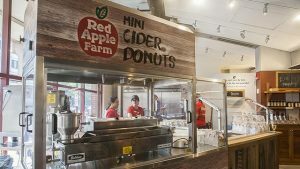 Not only do they have amazing donuts, but they also have a large, quintessentially New England farm store where you can purchase everything from local produce to homemade ice cream. make a full day out of your visit. The Boston Public Market itself is worth stopping into to explore the variety of local vendors there, and Red Apple Farm is a great place to get the authentic apple orchard apple cider donut experience while in Boston. Just a block from our doors, the Copley Square Farmers Market runs from early May through late November. 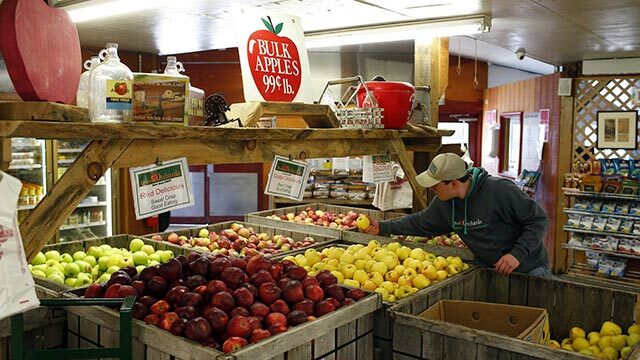 It’s a great spot to browse for local produce and flowers, as well as baked goods. 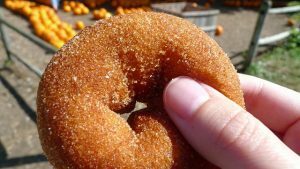 Most importantly, there are several farms that sell apple cider donuts throughout the year so you can experience the cidery goodness even in July. fresh‐out‐of‐the‐fryer if you heat them up in the oven or toaster oven until they’re warm throughout!